When the transit moon passes through 2,5,and 9 house from natal moon , the saturn enters in Gold step ( Swarn ka paya) , which gives money, wealth, property and respect. .
� People with Natal Moon in Scorpio will have the third & last phase of Sadhe Sati. 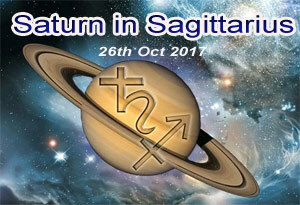 � People with Natal Moon in Sagittarius will have the second phase of Sadhe Sati. � People with Natal Moon in Capricorn will have the first phase of Sadhe Sati. � People with Natal Moon in Virgo will have Laghu Kalyani Dhaiyya. � People with Natal Moon in Taurus will have Ashtam Shani. Saturn takes 2.5 years to transit through a sign. This way it takes 30 years to transit all twelve signs. In a given span of 30 years every individual is under a direct effect of Saturn for 12.5 years (7.5 years of Sadhe sati + 2.5 years of Dhaiyya + 2.5 years of Ashtam Shani). This way if one has a weak Saturn in the horoscope 12.5 years out of 30 years are not going to be very positive. This way a person is not able to gain that much success as much efforts he/she makes. If Saturn is a functional benefic in the chart, the problems (though they seem to be so) will put foundation stone for good progress later on.